The island of Guajiru is really the place of your dreams if you want to practice kite surfing! Come to visit us, you will not regret it. The place has the best wind conditions and flat water for those who want to learn or improve their sailing skills. We offer 3 categories of rooms, standard, comfort, superior to give our customer the possibility to enjoy a natural lifestyle, healthy and peaceful. Tatiana Souza will be with us this season bringing yoga classes for those who wish to benefit from this practice in our paradise. We’ll have more relaxed attitudes, accessible practices and focus on a few points to bring balance and strength, breathing (pranayama) and meditation – relaxation in Hatha Yoga Ashtanga. We will have the option of classes for those seeking greater muscle strength and more animated lessons that will make you sweat seeking pranayama. We will have classes that seek a greater awareness meditation and relaxation (Vinyasa)! 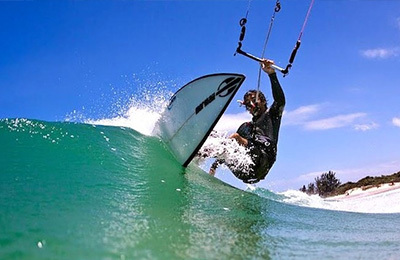 In addition to a specific number for balance of strength and concentration to help you in kitesurfing!! All are invited to celebrate the joy of living their own overruns! In Shanti Shanti Shanti hari On! Namaste! This will be organizing incredible downwinds through our beautiful beaches, with daily departures! This is a perfect opportunity to meet our incredible waterfront of Torroes to Espraiado. We will have a variety of routes between waves and lots of plain water, all in the same downwind. Wind measurement is 25 knots from June to the end of December, with a super large lagoon in front of our hostel. The outside temperature is about 30 degrees Celsius, while the pond is between 28 degrees celcius throughout the year. You can leave your wetsuit behind. The wind starts early in the morning and never stops blowing actually. We offer the transfer service, we have accredited taxi drivers who work with us. "I couldn´t find a better place to stay for my first holidays alone. I was there to learn kitesurf and the the Team has been so profesional and kind with me. I had the chance to stay in the room nearest the beach. 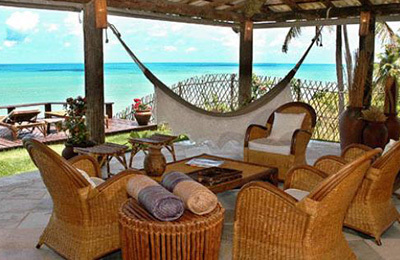 The room was very confortable (AC), the hamaca on the terrace a perfect place to rest, and look at the people kiting ! After kting, The Camp is THE place to meet people. 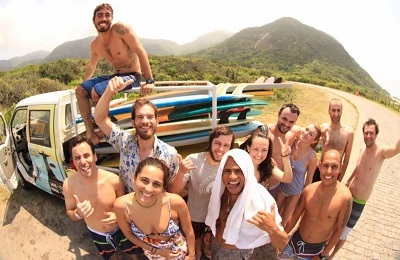 Good vibes, nice people, and everybody there to share the passion of kite surfing. Excellent food. Graziella the owner is a real chef ! The buffet for lunch is a good idea, and for the diner, a nice atmosphere around the table ! Jojo, the owner is always very friendly and very concerned by the professionalism of his team. Bento helped us to organize excursion to Jericocoara and has been very helpful in many situation. In few words : Here IS THE PLACE TO BE !" "Amazing place, romantic, with a wonderful energy, beautiful view, wonderful service, PERFECT parties with beautiful people, perfect for Kite surfing, best place in Guajiru Island!" "We came 3 days to make a stopover with family to 8 people. 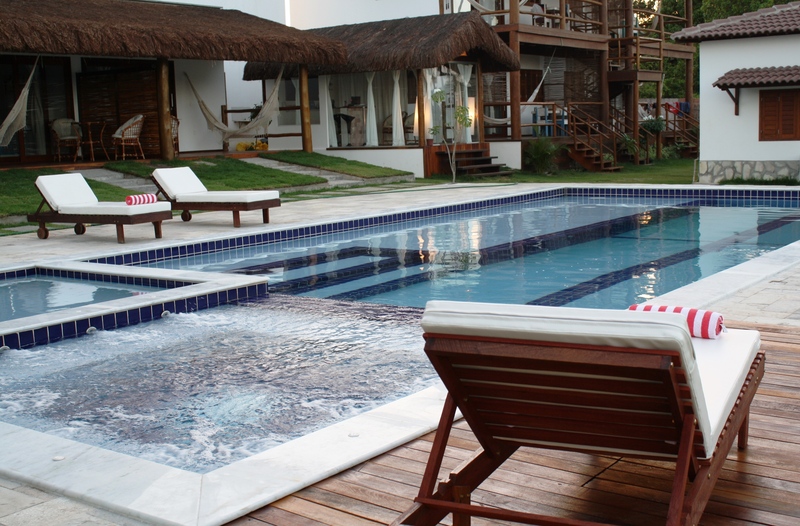 Everything was perfect: the atmosphere, the pousada, the kite spot, the location! We highly recommend and will return. We have only one regret, it is not to have stayed longer." "Excellent, with a wonderful view. Very good for kitesurfing, with classes in the same place and with wonderful people. Unforgettable sunset, with beautiful people, excellent caipirinhas!!"